Roughly a decade ago, during the first term of then 9th District congressman Harold Ford Jr., the redoubtable African-American congressman from Detroit, John Conyers, came to town and announced to a sizeable crowd that young Ford could well be a future president of the United States. That was very likely the first such pronouncement from a well-known national figure  all the more compelling in that Conyers had a well-defined reputation as a serious legislator dating all the way back to his service on the House Judiciary Committee in 1974. That was the committee that voted articles of impeachment against Richard Nixon in 1974 and paved the way for that president’s exit from office. Here it is 33 years later, and, following last year’s Democratic sweep, Conyers is the new chairman of the Judiciary Committee, and, politically, he and Ford have traveled in opposite directions. 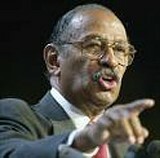 When, in late 2002, the ambitious Memphian made an unsuccessful challenge to Nancy Pelosi (now Speaker for the House) for the leadership of House Democrats, Conyers publicly chastised the congressman, who had just voted to give President Bush authorization for military action in Iraq, saying, “I don't think anybody is going to become the next minority leader of the Democrats that wants to go along with Bush on the war." Ford’s continued support for the war may have even been a marginal factor in his narrow loss of a U.S. Senate race last year. The man who succeeded Ford as congressman for the 9th District, Democrat Steve Cohen, made no bones of his opposition to Bush’s war policy during his race last year, and he continues to be vocal in congressional debate on the subject. Cohen, a longtime Conyers admirer who, post-election, was granted his desire to serve on Judiciary, will bring his committee chairman to town with him for a Town Meeting on Thursday. The two congressmen will appear together at the National Civil Rights Museum beginning at 6:30. Will Conyers complete a cycle of sorts by billing Cohen as a possible future president? Unlikely, but we’ll be there just in case. Meanwhile, the man Cohen succeeded in office, the aforesaid Harold Ford Jr., seems to be proceeding full speed ahead. The New York investment firm of Merrill Lynch last week announced Ford’s coming aboard as a vice president. Together with his election last month as head of the right-center Democratic Leadership Council and his appointment as an ad hoc professor at Vanderbilt University, Ford would seem to have a fully fleshed-out profile for whatever political purposes might come, either statewide or national. During a meeting last week with a group of local political adepts called “The Politicos,” Memphis businessman Karl Schledwitz made a compelling argument that the circumstances would be ripe for Ford to make another bid for the U.S. Senate in 20087 against Republican incumbent Lamar Alexander. One fact, for better or for worse: After taking the DLC post, Ford has undergone renewed attacks in the progressive blogosphere for his conservative  some say reactionary -- positions on both domestic and foreign-policy issues. There is no question that first-term Shelby County Commissioner Mike Carpenter has riled hard-core Republicans by his decision to join with commission Democrats in voting, consistently and decisively, for a second Juvenile Court judge. Adding insult to injury, as these GOP cadres see it, Carpenter has become increasingly critical of Judge Curtis Person, elected last year after decades as a GOP icon in the state Senate and several years, too, as an administrator in Juvenile Court. Ironically, Carpenter was heavily backed in his race last year by the Republican establishment. . He was then regarded as an acceptable alternative to predecessor John Willingham, a maverick GOP type who often bucked party discipline. Faced with Carpenter’s well-funded challenge, Willingham read the tea leaves and ultimately opted out of his reelection race in favor of a largely symbolic long-odds race for county mayor. Now it’s Carpenter, a onetime state GOP political director, who’s seen by some as the maverick and a potential thorn in the side of Republican orthodoxy. And word comes that Probate Court Clerk Chris Thomas, among others, is meditating on a challenge to Carpenter three years hence. Thomas, known as a hard-right Republican, is one of several local elected officials who, though ensconced in positions that look to outsiders like safe and satisfying sinecures, are clearly lusting for more active political roles. That’s especially the case when Republicans like Thomas, having to run countywide, seem to keep pulling rabbits out of hats during their reelection campaigns, thereby defying a changing demographics that more and more should favor Democrats. Sooner or later, at one of these four-year intervals (that’s eight years in the case of judges) the rabbits won’t be there in the right quantity. As it was, several narrowly defeated Democratic candidates mounted credible legal challenges to the outcome of last year’s vote. And, weekend before last, at the monthly luncheon of the conservative-oriented Dutch Treat Luncheon, one well-known local Republican passed along speculation that Carpenter’s stance on Juvenile Court reform might be part of a trade-off involving Democratic votes in the future for a controversial proposal to privatize county penal facilities. The truth content of such a suggestion is less interesting than the fact that it’s implicitly exculpatory of Carpenter in an ideological sense. The fact is, the commission’s Democrats had the votes for a second Juvenile Court judge without him, and, one hears, trade-offs do take place once in a while on the commission and other legislative bodies. Under the circumstances, there are worse things than having a reputation as a player, whether justified or not. And certainly worse things than being considered independent-minded.